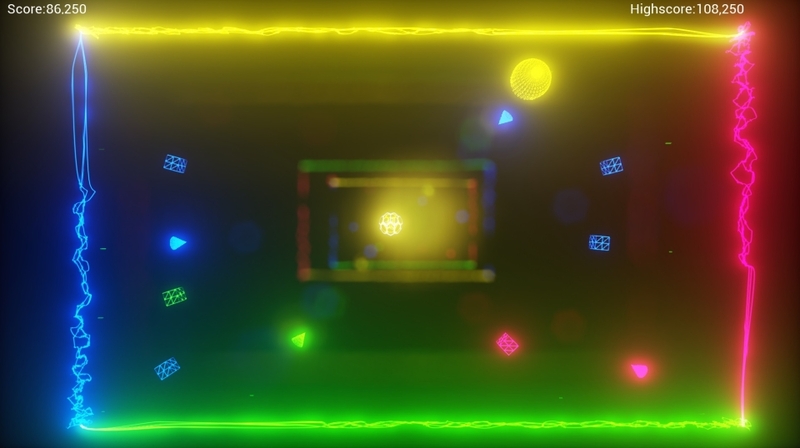 Color Chaos by DynamiteDan2012 is a very colorful neon theme arcade shooter game. Classic Mode is Color Chaos in its purest form, Fight an endless onslaught from a variety of different enemies that spawn more frequently the longer you survive. Can you survive the longest and achieve the highest score? Chaos Mode has more enemies,more firepower and more chaos. Use a variety of different pickups to increase your firepower and even the odds with the enemy. You’re going to need them because in this mode the enemies come thick and fast! Prepare to multitask! You will need to be able to move, dodge, shoot, aim and change color at the same time. If you play a lot of multiplayer RTS games like Warcraft and Starcraft where you need to issue commands to different groups of units using shortcut keys, you will not be daunted by the controls in Color Chaos. 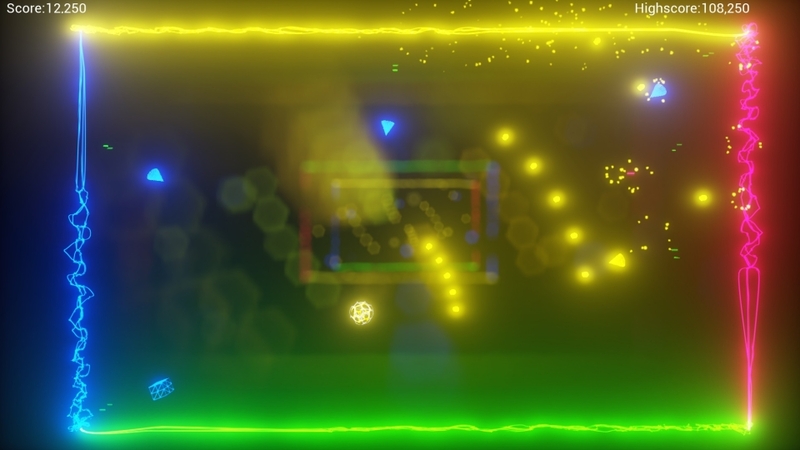 Your ability to think, react and adapt are key in this game as you will need to change colors on the fly as needed. 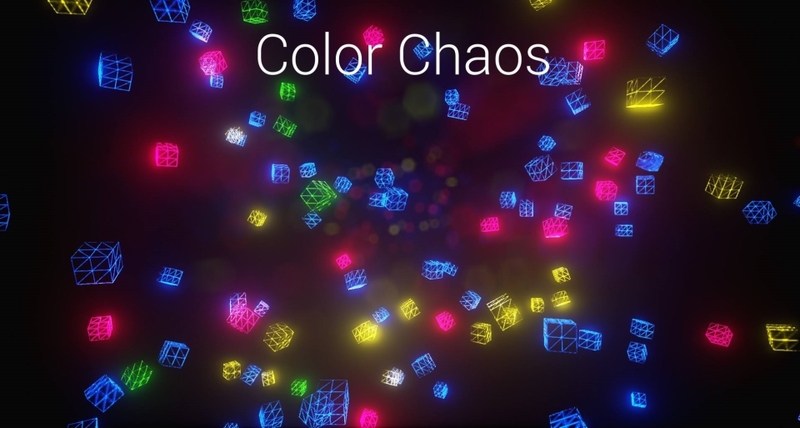 It is difficult to express in words of the experience you get from playing Color Chaos. The only way to describe Color Chaos is by comparing it to other gameplay elements. Think of a game that uses Asteroids as the basic settings where you are constrained in one screen trying to survive. Then, combine it with Raiden for the power ups and shooting game element. Finally, issue your command to change color, Starcraft style, by pressing the numerical keys on the keyboard… and there you have Color Chaos! Overall, if you are looking for a new dimension in an arcade shooter game, Color Chaos will give you a challenge that you have not seen before.